I think the pilot walked... Or he used a super good ground station and the person on the end was a spotter and collector for the drone so he didn’t need the return leg. But judging by the high quality of signal why wouldn’t he go further til either the battery go flat or signal die? This french flight record is in a shroud of mystery. I dig a bit into Claudio Schulann YouTube channel and I found out the place of the flight. Airstrip is located at Aeroporto Bandeirinhas, Brazil. Using Google tools I measured an airstrip length about 886 meters. It seems too short to house a 1000 meters mark, notice Tello didn't reach end of airstrip along video. Certainly shroud of mystery flight, but it awaken my curiosity about this model of wifi extender. I'll try it. For a $5 wifi extender with modded antennas the 1km distance is a major (!) achievement. As soon as you shelf out $100 or more for a professional repeater plus directional antennas this shifts focus away from tinkering with antenna mods and having fun modding your setup. I can already imagine myself walking around with that dish, setting that thing up in the middle of the park to fly my little tello Hahaha! Raul on his next flight. On a serious note. We can observe that Claudio Schulann from time to time flies against the wind, instead of straight on the air strip. This causes the Tello to fly "farther" since it counts the ground it had to fly against the wind, even if it will loose it again. In reality it never flew the 1k, but the telemetry from the Tello sensors think it did. Really, your cartoon it's just like me. For sure some people must thought it when they see me carring things to my favorite flight zone. On a serious note, strangest point about Claudio Schulann flight is so high signal level one kilometer far away and of course the odd lack of the last part of his video. Just in case I have already ordered at amazon a wifi dongle like him. I'll keep you informed. I have been thinking. Since clearly you have a passion for this. Why not get a true wifi range extender with a certified X amount of range and a car inverter where you can power this range extender. I know it's not practical, but I'm sure you will be able to beat your record with a more potent range extender than those USB ones can provide. I’m curious. How can you get accurate range/distance measurements when the Tello does not have GPS positioning? It seems that some of the 3rd party Android apps (aTello Pilot, TelloFPV) are reporting distance. How can this be, if this info is not even recorded in the Tello DAT file? I’m just curious as I’m on iOS so am stuck with the original app. Same as with the holding position camera. It takes a photo every 2 seconds and the app does the math. if the Tello is flying at 3m/s and it has taken 3 photos then you have flown 18 meters. Thanks for enlightening me. Too bad the original app doesn’t do this. Tello has a downfacing camera which is used by the onboard VPS to calculate Tello's position. This is done with amazing accuracy and several times per second. Tello knows pretty well where it is as long as the VPS doe not get confused. Stock app has access to the same data: it displays the horizontal speed, which is also calculated by VPS. They just chose not to use this information for some unknown reason. Conspiracy theories indicate its because DJI did not want Tello to get too close to a spark, but I don't believe in this. I think its more that they did not want to be bothered by thousands of complaints from customers expecting GPS-like accuracy from a VPS-based drone. Do you know it the DAT file stores the distance info? When I import it into AirData, I get Max Altitude, Max Speed, and Flight Time but no Max Distance. You would think that if the data is there it would show up like all the other data does. 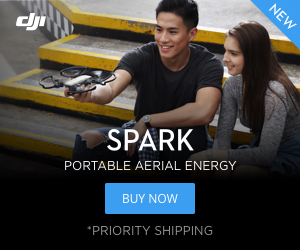 I have a Spark and Tello doesn't even come close to what the Spark is capable of, so like you, I don't think it has anything to do with DJI. Sorry I never checked the actual files. For sure stock Tello app stores distance and velocity info into DAT file. As you can see into MVO category position and velocity X,Y and Z fields are there. I have used CsvView and got it to plot my route but it would be so cool if that data could be imported into AirData. What I like about AirData is that it is a central place to log all kinds of drone data. The problem with Tello is only limited info is shown. I received and succesfully tested WIF+S Extender. I'm shocked excelent performance achieved. I fact, it doubles range Xiaomi Repeater flying into residential area lot of 2.4ghz networks around, so heavy interference.